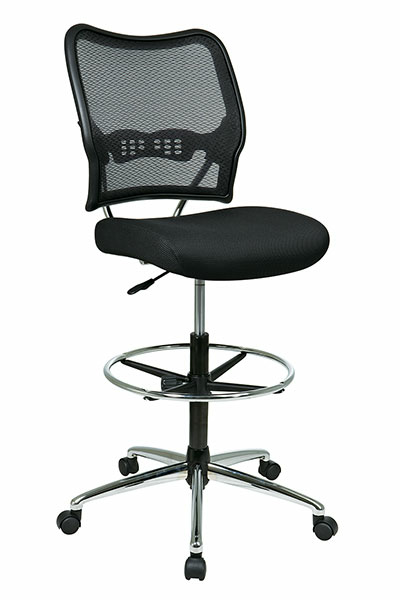 Deluxe AirGrid® Back And Mesh Seat Drafting Chair. Thick Padded Mesh Seat and AirGrid® Back with Built-in Lumbar Support. One Touch Pneumatic Seat Height Adjustment. Adjustable Metal Foot ring. Nylon Base with Dual Wheel Carpet Casters.